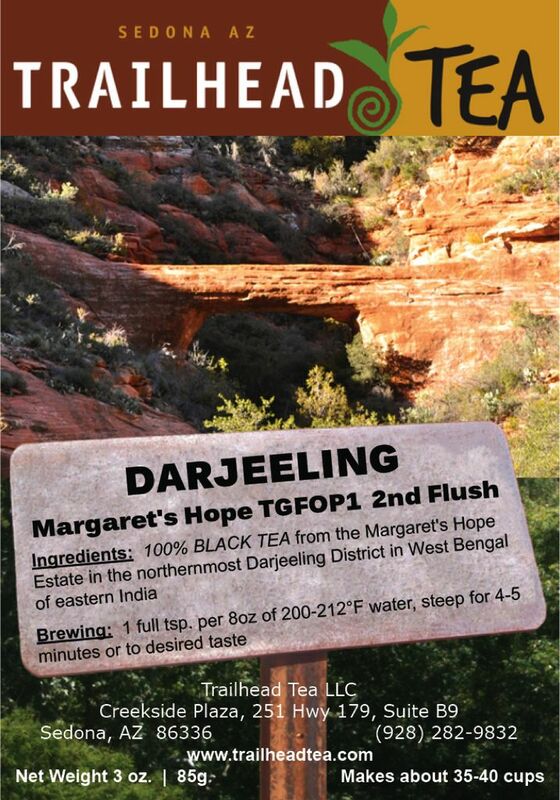 100% BLACK TEA from the Margaret's Hope Estate in the northernmost Darjeeling District in West Bengal of eastern India. 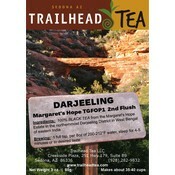 100% BLACK TEA from the Margaret's Hope Estate in the northernmost Darjeeling District in West Bengal of eastern India. A ruby colored complex brew with notes of black cherry or currant, honey and hazelnut. The 2nd flush refers to the harvesting/picking during the second season (summer), usually between June through mid-August. 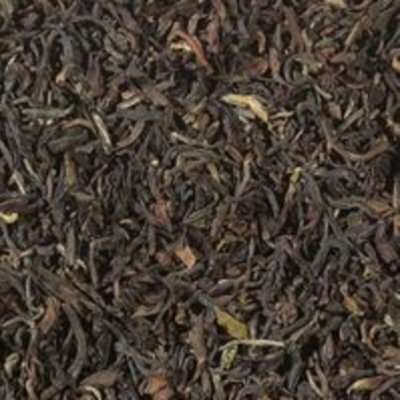 2nd flush leaves tend to be a darker color, and a stronger, more mature taste as compared to the first flush. 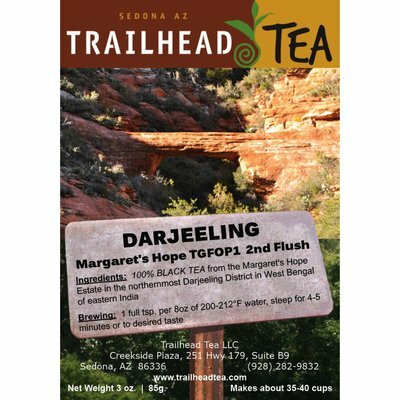 The 2nd flush also exhibits more of the famous “muscatel” flavor and aroma attributed to Darjeelings, which is a hard to describe combination of honey, fruit, raisin, and caramel.